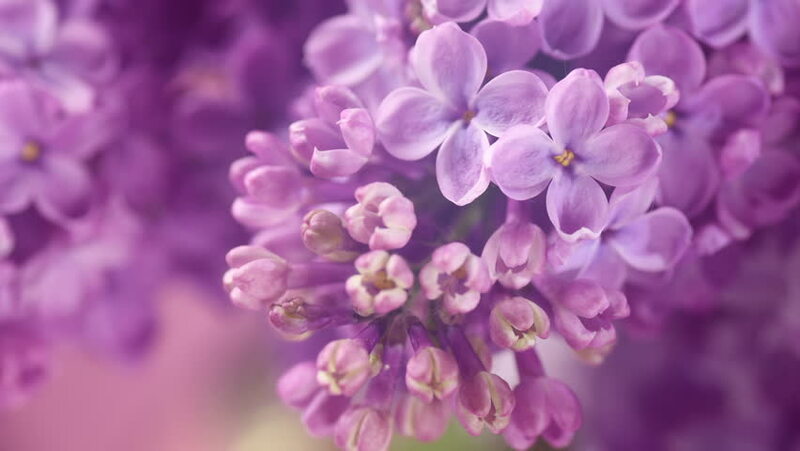 Lilac flowers bunch background. Beautiful opening violet Lilac flower Easter design closeup. Beauty fragrant tiny flowers time lapse open closeup.